Hello there, I just came across this page after typing ‘george romero and race’ into google. I’m actually writing my masters thesis on the subject. I have to say I like your article, although I would probably state that Romero was certainly a Passive non-racist in his casting of Jones for ‘Night’, however he himself admits that there was more of a hidden subtext concerning race in both ‘Dawn of The Dead’ and ‘Day of the Dead’-see the opening Scene in ‘Dawn’ set in the housing complex for a great example of racial conflict. So perhaps Romero could be described also as an active Non-racist here, ie actively seeking to eliminate racism by inspiring us through the subtext of his films. The man highly deserves the praise you have afforded him here though, to cast Jones at a time like 1968 is all the proof you need. 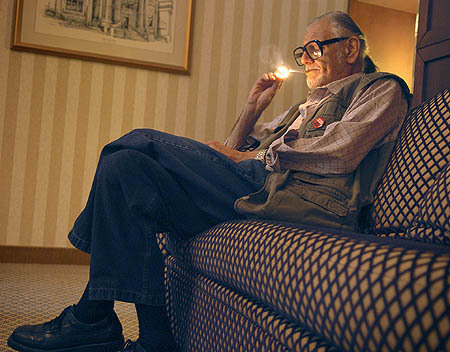 If only we could all be so Romero.